Give your food a signature flavor with Marshalls Creeks Spices. Our collection of spices and blends are just the thing to give your recipes a distinct taste and character. Picked from quality sources and packed fresh, our products are made to order. Whether for your kitchen or business, we offer a wide array of grilling and baking spices to meet your specific needs. No-salt blends are also available. Whether as a table condiment or the secret ingredient to your favorite recipes, our spices are sure to satisfy. Our team works diligently to create flavorful blends your friends, family, and guests are sure to love. Many of our spice blends are available in a variety of sizes. So whether you are stocking up your spice rack or updating a restaurant’s inventory, you’ll find the right spices at sensible prices. We even carry refill bags of your favorite blends, letting you save the jar and reduce waste. Blends without Salt: A healthy diet includes big and bold flavors. Now, you can enjoy your favorite seasonings--all without the extra salt. Blends with Salt: From steak seasonings to baking spices, we offer a wide array of blends to make your dishes flavorful, unique, and exciting. Blends with Sea Salt: Give your favorite dishes a standout flavor with our sea salt blends. We craft seasonings which bring out the sea salt’s natural flavor. Specialty Grilling Spices: You’ve already found your next favorite rub when you shop with us. Our grilling spices highlight the flavor in your beef, pork, chicken, lamb, and seafood recipes. Curries from around the World: Make every dish an exciting experience. 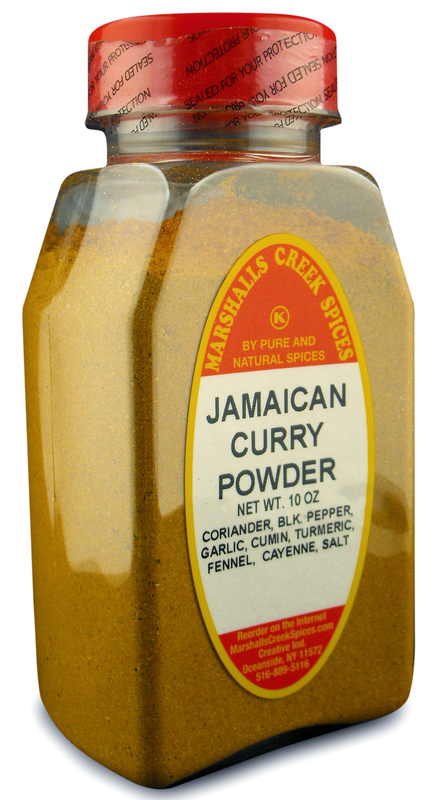 Our catalog offers different styles of curry inspired by the culinary traditions in Jamaica, India, Thailand, and more. Whether for your daily meals or those special occasions, our spice blends are sure to satisfy. Shipping is also available throughout the United States, including Puerto Rico, the US Virgin Islands, Guam, and APO/FPO addresses. Contact us to learn more about our grilling spices and no salt blends. We proudly serve customers throughout the United States.